Yemen’s Ansarullah movement leader, Abdul-Malik al-Houthi, says Saudi Arabia is committing genocide against the Yemeni people as it continues with its deadly aggression against the impoverished nation. 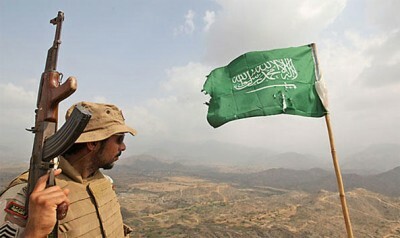 The Saudi forces and its mercenaries have come to Yemen to wipe out a generation, Houthi said during a televised address on Friday, adding that they want to raze Yemen to the ground. He said the Saudi regime has committed numerous crimes against the Yemenis. The Saudi regime knows no limit in its massacre of women and children, he said, adding, however, that the Saudis are neglectful of the Yemeni popular will. Houthi said the US and UK are helping Saudi Arabia in the aggression against Yemen. This Saudi regime has neither respected the concept of neighborliness nor Islam, he added. The Ansarullah leader said the Al Saud regime and its mercenaries fighting in Yemen are under the sway of the Saudi-Israeli-US axis. Houhti further slammed the silence of the UN Security Council regarding the Saudi aggression, saying the body is providing security only for arrogant powers, saying the UN charters have not been drawn up for the oppressed and only serve bullying and dictatorial regimes. It is shameful to remain silent vis-à-vis such crimes, the Ansarullah leader said, adding, however, that some countries have openly taken the side of the Yemeni people and provided any assistance they could to the nation. The resistance shown by the Yemenis shows the legitimacy of the demands of the Yemeni people, Houthi said. He said the main objective of the Saudi aggression is the destruction of the entire region so that the Zionist regime of Israel will turn into an unrivaled power in the region. The Saudi crimes have overshadowed the Israeli atrocities against the Palestinians, the Ansarullah leader said. Pointing to retaliatory attacks by the popular forces, Houthi said heavy and deadly blows have been inflicted on the Saudi military equipment. The Yemenis do not have a great amount of military equipment, but we have been standing against the enemy, the Ansarullah leader said, adding that the Yemenis feel obliged to defend their principles. The Saudis launched their aggression under the slogan of serving the Yemenis, however, we have seen how they have served the Yemenis with their missiles and destruction by killing women and children, Houthi said. The Ansarullah leader said the enemies cannot and will not be able to reach their objectives because Yemenis of all walks of life will continue to stand by their national commitments. Yemen has been under military attacks by Saudi Arabia since late March last year. At least 8,400 people, among them 2,236 children, have been killed so far and 16,015 others have sustained injuries.